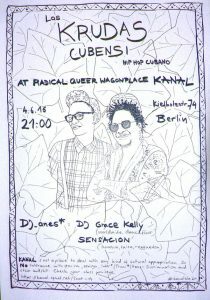 Krudas Cubensi is coming to berlin! we will have a great concert and after it our Dj_anes will shake you!!!! 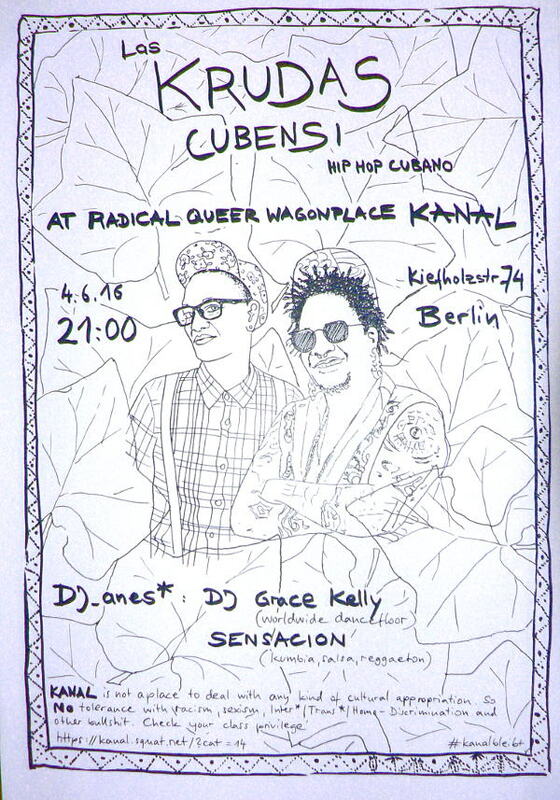 Krudas Cubensi also known as Las Krudas, is an activist hip-hop group with black feminist, queer politics. Odaymara Cuesta and Olivia Prendes are Cuban Hip Hop MCs, Independent Musicians, Poets, Theater Performers, Educators representing Womyn, Immigrants, Queers and People of Color Action as a Central Part of World Change. They choose the art as a weapon to fight against oppression, for justice, for balance, for our rights, to celebrate the life. They both born & raised in Cuba and began in the Artivism early in their lives. -And join our mailing list just with sending a email on kanal@squat.net with subject “list”.